Action all Areas – IMMA invites families of all ages to join us in our eight days of action! As part of IMMA’s reopening celebrations we are delighted to announce our family exhibition Action all Areas. It has been curated for all ages and is suitable for toddlers right through to grandparents. Action all Areas presents artworks from IMMA’s Collection including leading international artists Antony Gormley, Alice Maher, Rebecca Horn and Richard Long and artworks on loan from artists Rhona Byrne, Janine Davidson, Colm Eccles, Priscila Fernandes, Christine Mackey, Seoidín O’Sullivan and Karol O’Mahony. 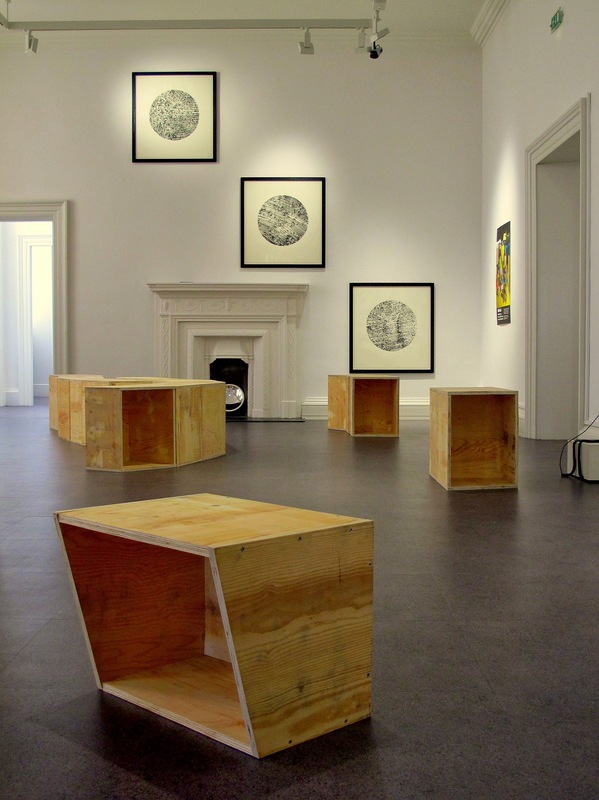 The exhibition includes prints, drawings, films and interactive video works and sculptural installations. The title Action all Areas came from the initial planning conversations about the exhibition. 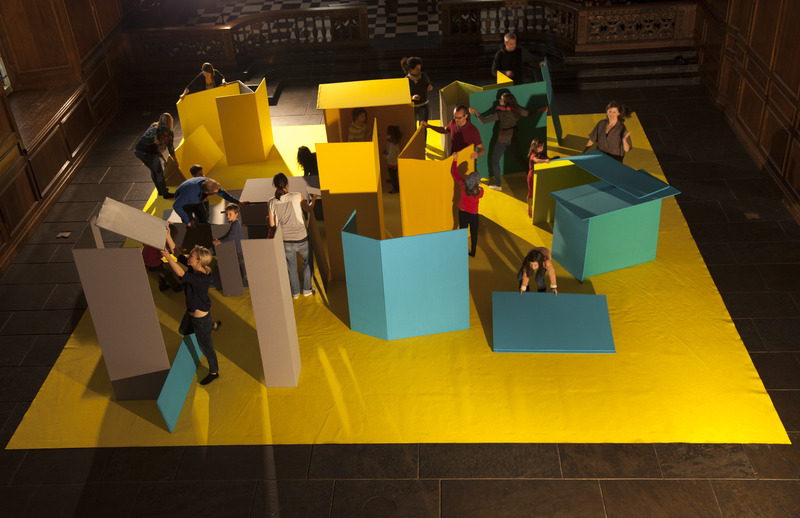 We wanted to make it an active space with artworks that proposed different ways of responding. We also wanted this exhibition to operate as a starting point for visitors to the museum, so there are many links to other works on display. For example, two artists are also in the Collection exhibition One Foot in the Real World, and another is in In the Line of Beauty. 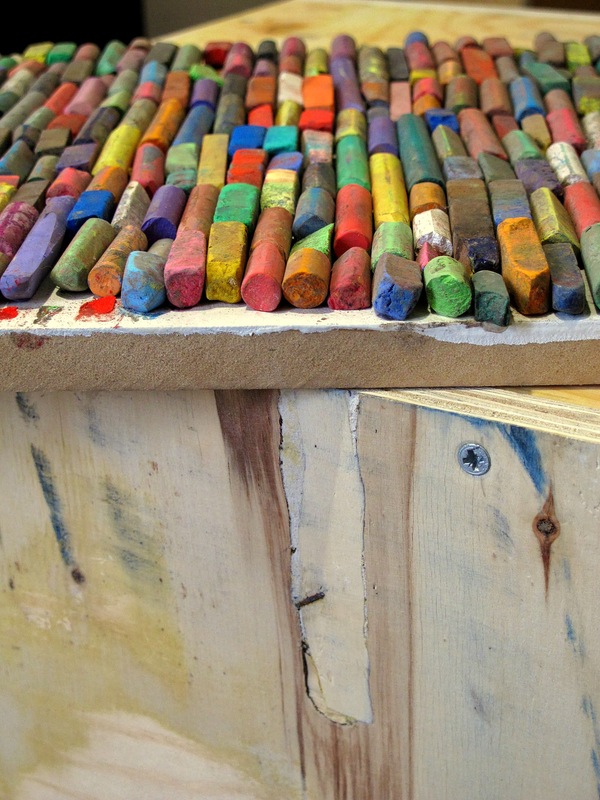 Some of the themes presented in Action all Areas are architecture, mark making and the body. For example, Richard Long’s Rock Drawing series are beautiful rubbings from the surfaces of the rocks he encountered over an eight day trek in the California desert which links perfectly with Antony Gormley’s Body and Soul series of prints made using his body as surface. To compliment this idea of surface textures visitors are invited to take their own rubbings from the resources placed in the space and from the architecture of IMMA as well. Artist Colm Eccles’ interactive video also creates a kind of pattern from the body, whereby your movements create a life-size kaleidoscope effect. We are interested in creating spaces for interaction, conversation and reflection. 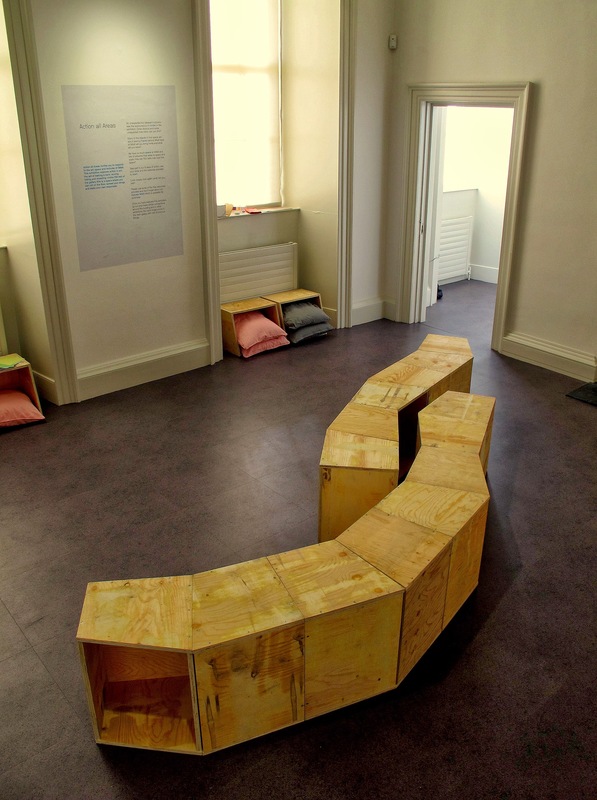 Seoidín O’Sullivan and Karol O’Mahony’s Seating System is placed throughout the exhibition and can be moved around for use as a desk, seat or conversation area. Visitors can also leave their mark by contributing their textural discoveries on a screen that has been built specifically to showcase their work. 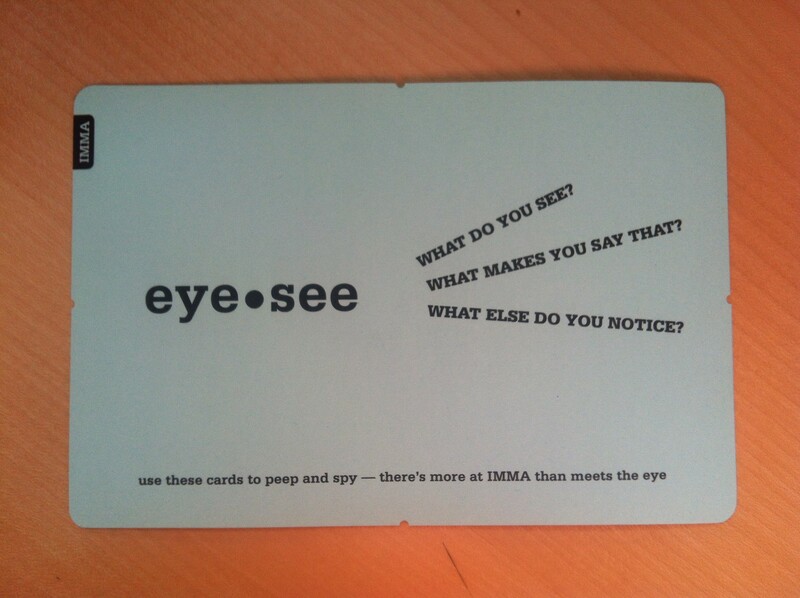 We have also created eye.see IMMA, a fun and interactive new resource at the Museum. It is a series of beautiful new viewfinders developed for families to look and see artworks differently. 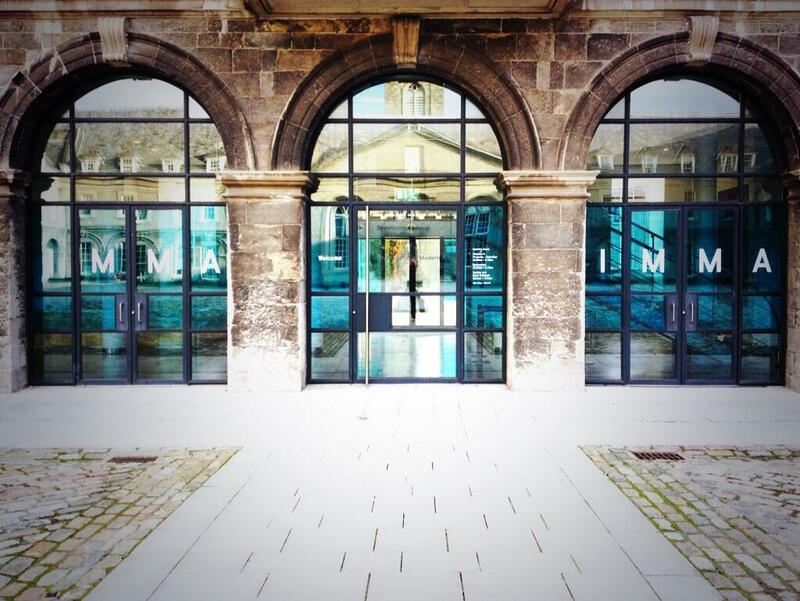 We hope the resource ignites new discussions of the artworks and architecture at IMMA. 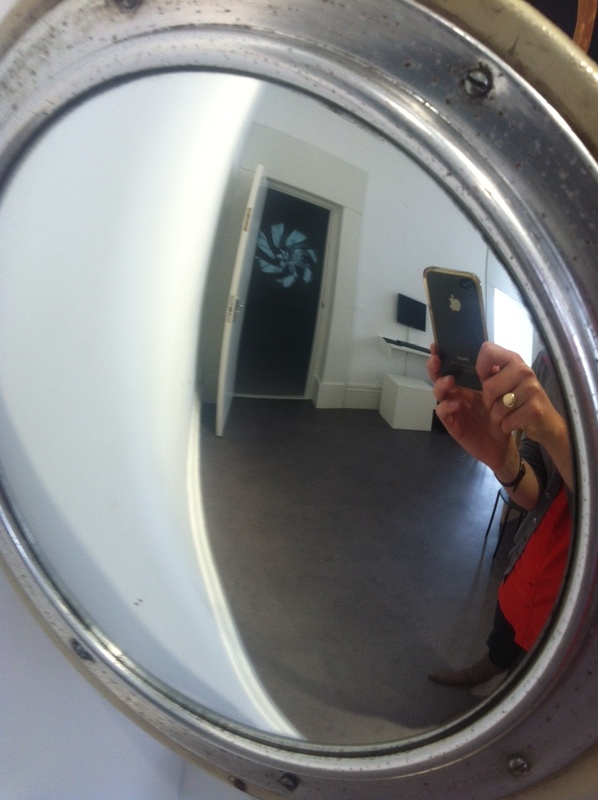 So we invite visitors to peep through the viewfinder keyholes and pop out circles to see what lies behind them! And following on from a successful weekend at the Big House Festival this summer, we road tested Rhona Byrne’s specially commissioned interactive sculpture Bolthole last Sunday in the IMMA Chapel and Courtyard. Available on Saturday and Sunday this weekend from 12 – 4pm we invite visitors to make shelters and dens around IMMA’s courtyard, a hideaway from which they can observe people passing. Rhona Byrne, Bolthole, 2013. Photo Ines Billings. 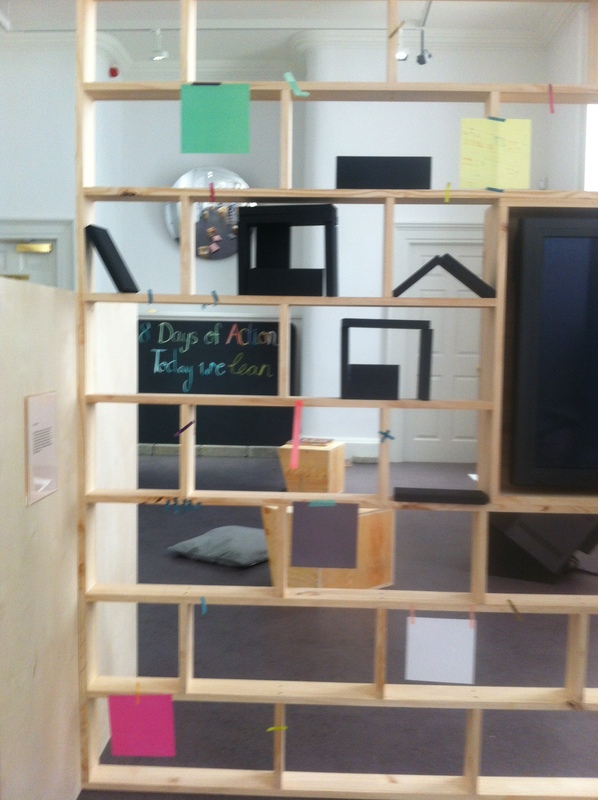 We’ve had a lot of fun curating this exhibition and working out how to make the space an active and playful one, and hope that all visitors enjoy the exhibition over the next eight days! Action all Areas is open from the 12 – 20 October 2013 and many thanks goes to the artists and staff of IMMA for their contribution to the exhibition. Action all Areas installation shots by Karol O’Mahony. Signage going up at IMMA for the Reopening!